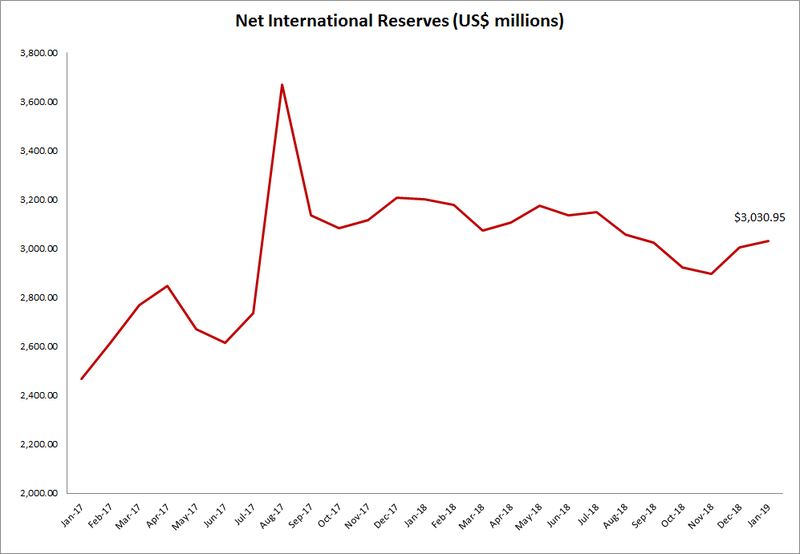 The Image shows the country’s Net International Reserves (NIR) from January 2017 to January 2019. The NIR is representative of the nation’s “savings account” in international currency. Click on the Image to enlarge it. 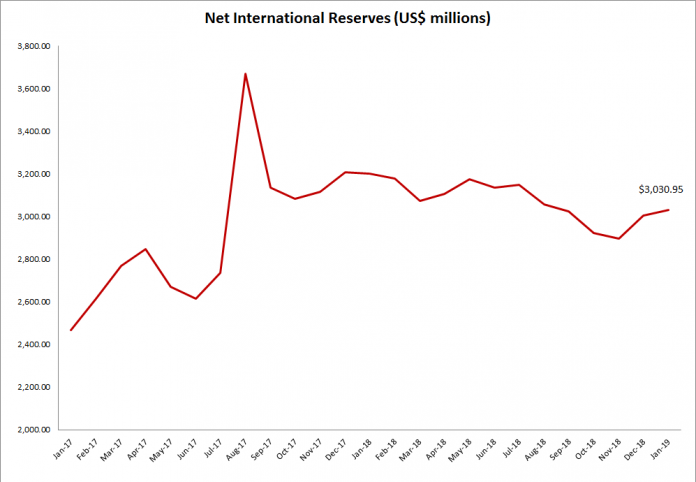 Please note the scale on the left hand side of the chart does not start at zero, this helps to magnify the changes in the reserves for the period.